SAN FRANCISCO — Aside from that fearsome left-handed swing everybody knew, Willie McCovey provided an example of humility in how he lived for many of his San Francisco Giants teammates year after year. “McCovey was our leader,” Gaylord Perry said as his fellow Hall of Famer was remembered in a celebration of his life Thursday at AT&T Park. Hall of Famers, former teammates and winners of the Willie Mac Award named for him attended the celebration on a picture-perfect day. McCovey’s 44 was written into the infield dirt next to his position at first base. Infielder Jung Ho Kang is returning to the Pirates on a one-year contract, the club announced Thursday. The San Francisco Fire Department paid tribute with a spraying show from a boat in his namesake McCovey Cove in the bay beyond the right-field arcade. Bouquets of flowers were left on McCovey’s statue across the water. “If there is a second life, I’d like to come back as a major league baseball player,” McCovey once said. “Stretch,” as he was fondly known, never won a World Series after coming close. The Giants lost the 1962 World Series to the New York Yankees, dropping Game 7 1-0 when McCovey lined out to second baseman Bobby Richardson with runners on second and third for the final out. Those who played with him cherished McCovey for his thoughtful ways both on and off the field. 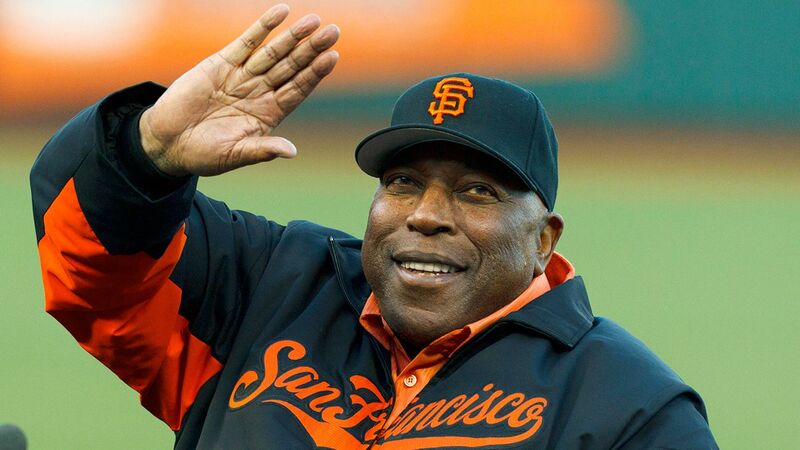 Home run king Barry Bonds called him “Uncle Mac” “because I’ve always admired him, and he’s always taught me the game of baseball as much as Willie [Mays] and my dad have,” Bonds said Thursday. The honor is voted on by the players, coaches and training staff to recognize the Giants player who most exemplifies McCovey’s inspirational ways on the field and in the clubhouse.